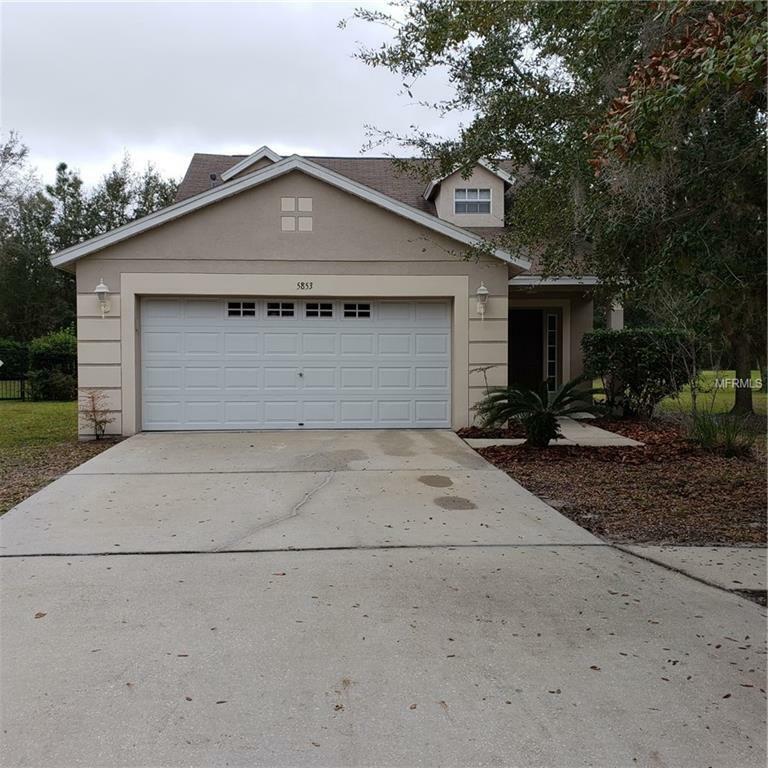 Nice, commodious house with 4bedrooms and 2 bathrooms located in sought after FishHawk Ranch! The house features formal living room-dining room combo with new laminated floors. The breakfast area is next to an open kitchen which features stainless steel appliances and wooden cabinets. The master bedroom with new nice laminate flooring and attached bathroom is also downstairs. The second story has 3 bedrooms with 1 full bath. The washer and dryer are included, located in the 2 car garage. FishHawk is a resort living community with several clubhouses, swimming pools, tennis courts, fitness centers, playgrounds, and excellent A rated schools. Easily commute to Brandon, Tampa and Highway I-75.